The great thing about being in college is the freedom and self-discovery it can bring. You are meeting new people and trying new things. Often times a college roommate can quickly become a best friend or at least someone you get to know really well. Unfortunately, college is an experimental time too, and some college students can take their partying ways too far or start to use drugs. So when do you know if your roommate is simply basking in the fun of college or when they have a legitimate drug addiction? If you suspect that your college roommate has a drug addiction, here are some signs to look for. Obviously, the most blatant sign is excessive alcohol or drug use. There is a huge difference participating in weekend festivities versus drinking every day or daily drug use. According to Jen Rini, contributor of The News Journal, it can be very hard to tell when college partying becomes a problem considering how many college students do engage in alcohol and marijuana use. If your roommate’s drinking comes to the point where they start blacking out or making bad decisions, you may want to voice your concerns. When people are battling drug addiction it soon starts to consume their entire lives. They sleep more, drop all other responsibilities and soon center their whole world around their addiction. If you start to notice your roommate skipping classes and sleeping more, they may have an issue with drugs. 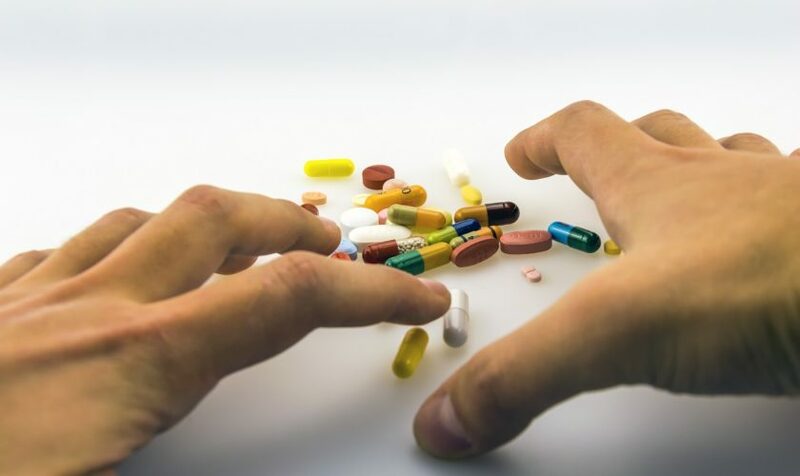 One of the signs of using is that they will do anything to get their next fix, including stealing whatever they can in order to get ahold of their drug of choice. If you are noticing that money or items that can be pawned (jewelry, tech devices, etc.) 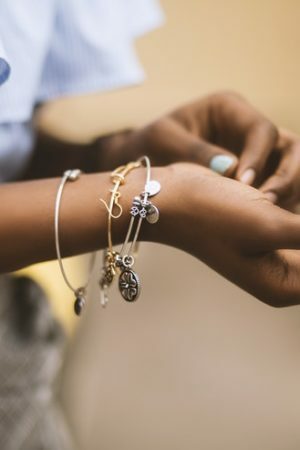 is missing from your dorm room or apartment and are suspecting your once reliable roommate stole them, it may be a sign that they have a drug addiction. One of the most telling signs of drug use and abusing drugs is the change in physical appearance. Drugs can wreak havoc on both skin and hair. Some drug addicts even start to smell, drop weight and stop taking care of their physical appearance. If you notice that your once well kept roomie now looks disheveled and you notice a vast difference in their appearance, it may be time to talk with them about your concerns. If you see any of these signs, your college roommate may be suffering from addiction. It may then be the time to confront them about your concerns or stage an intervention with other friends to get them the help they need. For most college students, there isn’t a lot of money to go around that could cover totally decking out a dorm room or apartment. However, since it’s the place where you’re going to be living for the foreseeable future while you get your education, the least you can do is outfit it so it’s comfortable, cozy, and reflects your personality. Luckily, you don’t actually have to spend a lot of money to do that. 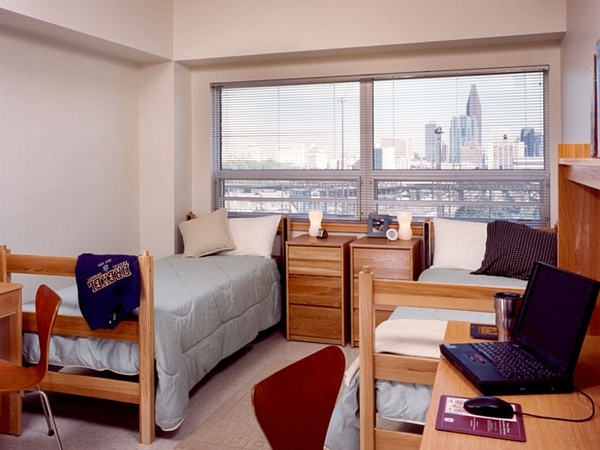 To show you how, here are three tips for decorating your college dorm room or apartment on a budget. One of the best ways to get what you need for your dorm or apartment at a discounted price is to pool your resources and find a way to get things second-hand. Especially if it’s something you’re going to be sharing with roommates, like a microwave or couch, you may not want to spend a lot of money because you can’t always monitor how it’s being used or cared for. For this reason, Kelsey Sheehy, a contributor to U.S. News and World Report, recommends asking your friends or relatives if they have items they’re no longer using or were thinking of getting rid of that they wouldn’t mind sending your way. This can be a great way to get what you need without having to pay full price for anything. Or, if you’re lucky, you may even be able to get a lot of this stuff for free this way. Once you have all the essentials in your new living space, it’s time to make things a little more beautiful. The only problem with this when you’re renting space is that you don’t always have the freedom to paint or make other cosmetic improvements that you might like to. But according to Kate Thorn, a contributor to Brit.co, you can get super creative with some washi tape and design your own wallpaper, frames, and other decorations all with just a few rolls of this easy to use, easy to remove decorative tape. This type of improvement is also so easy to change if you decide you’re ready for a new look in your space. A fun and simple way to bring some life into your dorm decor without spending a lot of money is to take advantage of natural elements. Gabby Noone, a contributor to Buzzfeed, suggests bringing in some plants, flowers, or other forms of greenery to take the sterile edge off of your dorm room or college apartment. Try to steer clear of plants that require too much attention or are too expensive up front to avoid wasting your money on something that’s hard to maintain and may die sooner than you’d like. 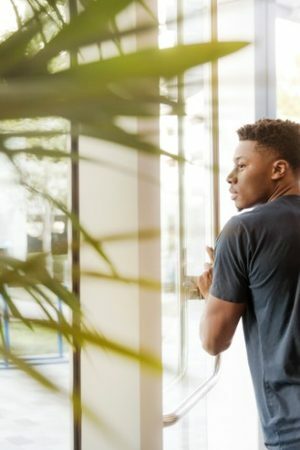 For those of you looking to make your dorm or college apartment feel like home without spending too much of your little money, consider using some of the tips mentioned above. College is a time in the lives of many where chaos runs rampant. Though it is also a time for education and personal growth, our college years are often full of stress, peer pressure, and strained relationships. Unfortunately, these three variables tend to get the best of most young people, and substance abuse ensues. However, college does not have to be a place to acquire a life-long addiction. There are several ways in which a young student can work to avoid falling into the traps of addiction. Take a few minutes and read up on a few helpful hints for avoiding addiction issues in college. Four of every five college students drink, and half binge drink. Nearly 2,000 students die every year from alcohol use. Close to 100,000 are sexually assaulted or raped while drinking. Do not underestimate the power of peer pressure. Peer pressure may seem like an elementary concept, but even the best of us battle the urge to “fit in” with surrounding groups. It is human nature. Social identity theories are key to understanding how peer pressure works. Due to the social nature of humans, we often base our self worth in the hands of those around us. The undeniable urge to be one of the group often drives students to use drugs or alcohol as this is the “cool” thing to do in college. The stress of balancing family, school, and a social life can be overwhelming for young people. College is a hustle and bustle kind of lifestyle and stress management is the key to maintaining a level disposition. Be meticulous about scheduling time during the week and on weekends. Idle hands do not help to relieve stress caused by mounting papers and projects. Keep busy with constructive activities rather than destructive parties. Learn how to have fun without drinking or drugging. It may seem like the only fun to be had in college is to drink excessively, but there are so many other activities in which fun can be found. Learn to have a good time without getting “faded.” Try throwing a sober party with board games, card games, and other alternate forms of entertainment. Dance. Talk. Create. Share college war stories. Believe it or not, alcohol is not the only way to relieve the stress of a long day’s work. So, learn how to have fun in other ways. If you hadn’t already found a hobby in your high school years then college time is a great place to get one. It can be an excellent way to unwind from a busy day of classes. Here are some hobbies to consider, and ways to find one that works for you. When it comes to looking for a hobby you enjoy it can be fun to test out a few things. Hit up the air gun or paint gun range with a group of friends, go play golf with your dad, or invest in a cheap fishing rod and test out the waters. Find friends or family members that are into different hobbies and hang out with them or have them show you the ropes before you invest a bunch of money. Testing the waters is a great way to save money. You don’t want to invest in all the fly fishing gear available only to find out you don’t like standing knee deep in a rushing river. You may even want to save some money when you do find one you like by buying used gear online or at garage sales and thrift stores. Try something creative, from writing to making art. You can write for free, all you need is paper and a writing utensil. Creating art or doing crafts will take some monetary investment, but it’s a good way to relax and relieve stress, and you don’t even need to be good at it if you’re doing it for yourself. If you want a hobby that actually gets you out of the house and allows you to meet other like-minded people you might want to join a club or meet up. You could also join a team of some sort, like a bowling league. If you like reading consider joining a book club. If art is your thing maybe you want to attend local art meetings or take an art class that lasts a few weeks or couple months. If you don’t feel like you’re the creative type, you don’t want to do things outside the home, and you want to do something that doesn’t take a ton of effort, consider reading for a hobby. You can get books the old fashioned way or do eBooks. And it opens up a huge creative world for you. Hunting is a hobby enjoyed by many. For some, it’s more than that. It’s a lifestyle. Everything revolves around going out to get that next kill. It’s not about the kill alone, it’s about the entire experience. The experience is what makes people addicted. The act of packing up your gear and your rifle scopes and your guns and spending time in the untamed wild, becoming one with the landscape and stalking your prey is special and those who start never stop. If you have a passion for hunting and you don’t want to have to put it on hold for 4 years, you’re not going to want to go to a college that is located smack dab in the middle of a city. You’re also not going to want to go to a college in the desert or one that’s located on the ocean. 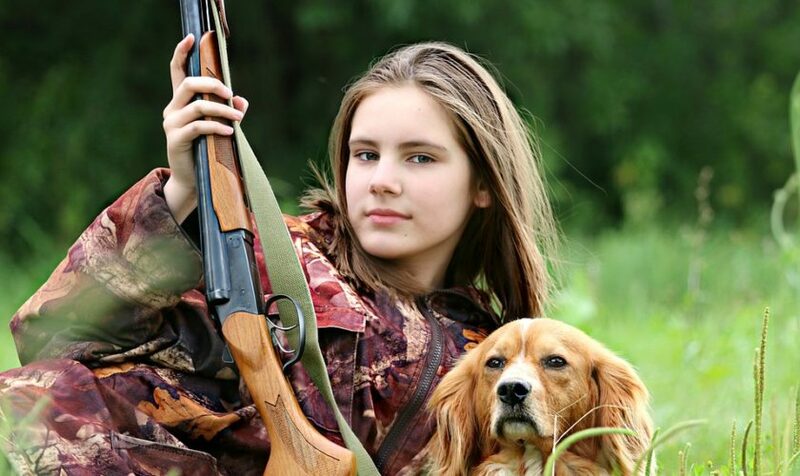 If you love hunting, find a school that is close to a territory that you can hunt in. Otherwise, you’re going to find yourself having to travel long distances over the weekends with all of your gear, which cuts into the amount of time you could have spent actually hunting if you were closer. People who are good at managing their time, especially during college live with much less stress and much more time to do what it is they actually want to do. If you want hunting to fit into your college lifestyle, you’re going to have to manage your workload and your homework and do it during the week so that you have the option to go hunting during the weekends. If you have a way to drive to get to your hunting location, bring your course work on the road with you and while somebody else is driving, complete what you need to complete. If you love to hunt, that probably means that you also love to eat meat. When you’re at school, you tire of cafeteria food and you would like to eat what you spend so much time stalking, killing, and cleaning. To solve this dilemma, get some appliances for your room. A mid-sized fridge would be great to have and you should get an electric skillet or stove of some sort that plugs into the wall or works off of propane. This way you’ll be able to cook in your room and enjoy the feast from your labor. 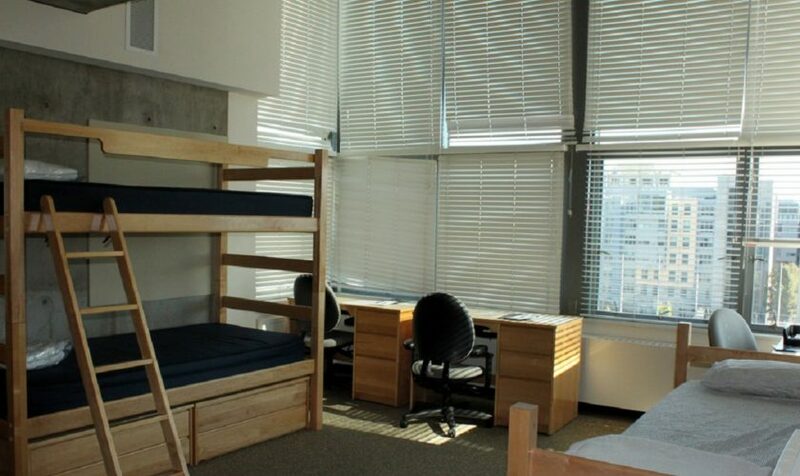 One of the bigger shocks to the system that occur when a student goes from living at their parent’s house and going to high school to starting the college experience is going to be dorm living. And there are as many different types of dorm experiences as there are people living in the world. But, a few things you can always rely on in terms or organization and adjustment are listed below. These points of interest in include the types of lodging in dorms, the culture that comes with them, the noise you’ll be dealing with, the hours of sleep and activity, and the opportunities that present themselves within the mediated hive mentality that comes with signing that first lease. For the most part, college dorms aren’t going to equate to the Ritz hotel. And though you won’t be charged for it, dorm rooms will often need window repairs, door repairs, and even things like new carpets. If that last occupants were particularly rowdy, you may end up even having to figure out ways to brush up some holes that may have been put in the walls. All in the course of normal, homework-centric days, of course. It’s difficult to explain dorm room culture in general, and it’s even harder to pinpoint what kind of cultural phenomenons you’re going to experience in specific buildings at specific colleges during specific times. The one thing that’s for certain is that especially your first time around in any dorm room experience, there’s going to be a culture shock that you’d better be prepared to handle! If you’re used to sleeping and living in a quiet environment, you’re going to be in for a bit of a transition period when you move into your first dorm room. Even though there are certain places that are often designated as quiet areas, it’s important to understand that because of the amount of activity going on around you, the idea of sleep in college is going to take on an entirely new meaning. If you’ve only lived by yourself or with your parents before, then you’re pretty used to making your own hours when it comes to your sleeping and waking arrangements. However, once the college experience starts, you’ll quickly have to adapt to the people around you. The better your attitude about this arrangement, the better your experience will be. One thing that living in a dorm brings to the equation that can often be overlooked with all of the perceived negatives of the situation, is the fact that there are so many more opportunities to connect with people than you’d have otherwise. Dozens if not hundreds of people will be available within walking distance for you to share ideas with, and that in itself is a reason to choose dorm life in the first place. Despite the fact that the greater Los Angeles area has a lot of downfalls associated with it, that doesn’t change the fact that it’s one of the most influential hubs for commerce and economic activity in the United States. Whenever anybody thinks about places to be in order to make it somewhere, Los Angeles is at the top of that list. Often there are several problems that arise when people decide to make the jump. For starters, they’re unable to front the expense of living in LA, and two, the culture comes as such a shock to them that they decide the lifestyle isn’t suited for them and they pack up and try their luck someplace else. Housing is one of the number one issues with Los Angeles. It’s expensive and what you are spending for lodging in LA area will get you a lot more for your money someplace else. If you attend college in the area, your lodging is going to be included in the package. You’re not going to have to worry about where you’re staying. Aside from heading out into the city to watch basketball or enjoy your favorite view oceanside, all the transportation you need to get to and from classes can be accomplished easily because you’re right on campus where everything you need is at your fingertips. The best universities know that it’s connections that make a person in this world. You might have the most talent and work extremely hard to make yourself into something, but your path will be much easier if you know the right people. Seeing as Los Angeles is a hub for all sorts of different industries, it’s a great place to be because connections are close at hand. If you go to school in LA, your school will have better capabilities to bring in qualified mentors and lecturers. That’s worth the downfalls of living in LA alone. If you know that you’re a sun bunny, there is no better place to be than in Los Angeles area. If you were to go to school in Seattle or some place where it was rainy, dreary, and snowy for a great portion of the year, it would affect your productiveness. California is sunny most of the year. If you go to school there, you can ensure that you’re going to feel motivated to get work done because the sun is always shining and your spirits are always at a high because of the weather. Louder and louder, the world gets louder. The background noise has reached a point where there is even a measurement of a “World Hum”, a low-frequency continuous indistinguishable sound. In urban environments, the background noise level, or ambient noise, has increased steadily and is now in the 85-90 dB range. That is the average operating noise level of a bulldozer at idle. At 85 d, continuous exposure can lead to permanent hearing loss in just 8 hours, or the average work day. So what do you suppose those Beats by Dre do to your ears in, say, 15 minutes. First, understand that our musical experiences have changed more in the past 100 years than in all of recorded history. The amplification of music has elevated our opportunities to hear and appreciate music to new and significant levels. If you look at how we listened to music prior to 100 years ago, you would see we either listened to it outside in a public environment, or in facilities designed not to amplify, but to efficiently direct the sound to the listener. Though a full symphony can reach 98dB, and individual instruments (especially percussive) have reached up to 140dB, nothing before now can compare to the volume of amplified sound. Amplified sound has made it possible for us to hear music in much larger environments. 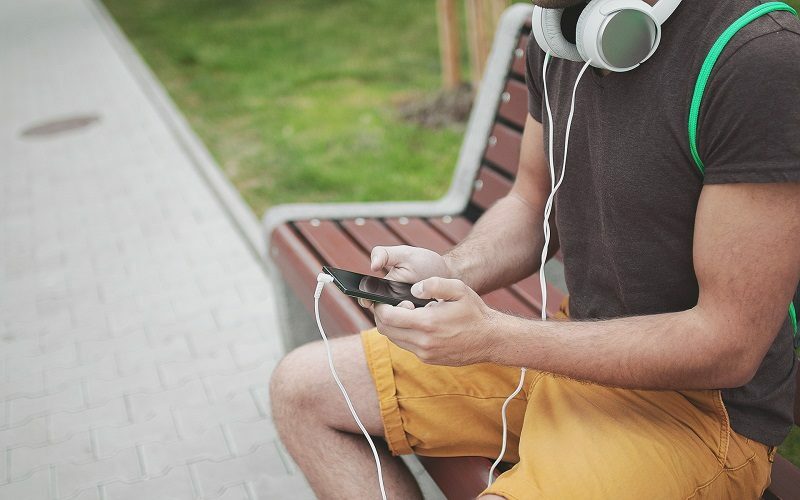 Indoors and outdoors, more people can hear more different music in more different ways. Subtlety and audaciousness can both be expressed and appreciated on a greater scale. All good, right? Well, not so much, AC/DC, Kiss, Motorhead, My Bloody Valentine are just some of the bands that make a top ten list of the loudest bands ever. Each band has been measured at over 115dB at one point or another. They are by no means the only ones to be loud. The average sound of a concert increased to a point that it began to affect neighborhoods and put attendees at risk. The result of their love of volume generated the rules that control volume in public places. That same amplification came into our homes, and stereos brought our favorite music with it. The greater amplification helped us to appreciate music at a deeper and more visceral level but tended to drive moms and neighbors nuts. Hence, we put on the headphones. While those headphones are awesome in how they allow us to really hear music at another level. They are pretty tough on your hearing. Those Beats you’re listening to as you study for your class on organic chemistry, well those headphones can deliver up to 120dB, causing hearing loss in only 15 minutes. If you can’t hear anyone around you, you are actually listening at too high a volume for safety’s sake. If you use your headphones at even just 60% volume for 60 minutes a day you are at risk of damage. Yeah, yeah, yeah, you say, but did you know that hearing loss from damage is permanent. Like life long. Remember talking to your grandpa? Remember your mom and grandma yelling at Papa to turn the TV down? I’m just saying you may want to hang on to those gems in your family dynamics, as you start to bump up the volume. So the next time you jump out of your seat in surprise because you are can’t hear your friend sneak up on you, remember what your mom told you, for your heart and ears sake. When it comes to living in a dorm, it can be a nightmare or it can be a fun experience. While your roommate(s) may have something to do with how much or how little you enjoy your time, so do you, and what you bring to your dorm matters too. 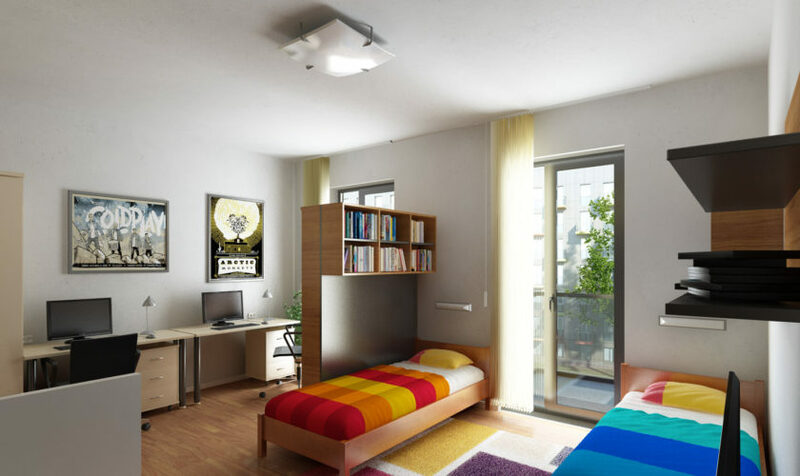 If you want to have fun and be comfortable, as well as get along with your roommate(s) and make friends, here are some tips for how to decorate and sustain your dorm room area. First of all, if you want to make it through college, you’re going to need a good night’s sleep, which means you need to have a comfortable bed to sleep in. When you go mattress shopping, try them out before you buy them. Mattress stores have demos set up just for that fact. Obviously, you need to pick a mattress that goes with the type of bed you have. If your dorm already supplied you with a bed and mattress, find out if you can replace them with your own or not. You may also want to invest in some earplugs, just in case. You’ll likely be busy with classes, studying, social events, and who knows what else, but you still might want to have a cool gaming system, some tunes, and a TV so that you can enjoy some entertainment in your down time, or bond with your roomie over some gaming action. You may not want to have the latest and greatest items in your dorm room, especially if you have a lot of visitors. You don’t want things to go missing or at least get broken or damaged in crowds. Sure, there’s probably a vending machine down the haul, but even college students can’t sustain on junk food the whole time. Consider having a microwave, a hot plate, or at least a small tabletop (indoor) grill, and a mini fridge. These are musts for dorm life. You may be surprised at how many things you can cook in a microwave and make in a dorm space to eat. If you want to ace your classes, you need to eat! You want your decor to not annoy your roommate(s), but you also want to feel at home. Plus, decorating your dorm is how you can easily let people know the real you. Maybe you’re a Dr. Who fan, a comic book nerd, or you prefer things simple. Don’t be afraid to let at least some of your decor reflect the real you. And don’t forget a bedside lamp! You’ll need it for some late night cram sessions. College is a time that is full of a lot of things. Rest and relaxation are two elements that are usually pretty rare to come by in the university lifestyle that operates on hustle, bustle, little sleep, and a few too many parties. With this being said, it can often be a challenge to keep oneself healthy. Day to day you have the classes and the studying. Over the weekend, you have homework and projects to think about and put together. You’re at college to learn, so it makes sense that the majority of your time would be dedicated to that. However, when you do have off time, like any other college student, you’re tempted to spend it perusing the internet or attending the nearest fraternity bash. Though a big part of college life, parties are a major component of making you unhealthy as an individual. First of all, your chances of getting drunk and driving increase with the more parties you attend, and that will affect your well being drastically. Besides this, alcohol in too high of quantities can cause weight gain, addiction, and even death. Sounds a bit melodramatic, but if you want to keep yourself on the up and up, keep the parties on the down and down. This doesn’t mean you never drink and you never attend the parties. It means you discipline yourself and either limit the amount you attend, or you leave early and you limit the consumption of alcohol. Close quarters, less than premium nutrition, long days, and tired students make college campuses a breeding ground for illness. That’s the last thing you want when you’ve got loads of homework, midterms, and other responsibilities to attend to. To keep yourself in great health amidst the host of classmates that are out with the plague, get yourself the flu shot and whatever other vaccinations you need to ward off viruses and disease. The cost to you is miniscule when compared to what you will lose if you’re forced to lie in your bed for a week unable to form a cohesive sentence, let alone keep up with the growing school load. You might not put on the freshman 15, but that doesn’t mean that you’re in great health. If you’re dragging, always needing coffee to get you through class, or if your body aches from long hours sitting in lecture, keep your health up by eating nutritious food and exercising. Instead of grabbing that bagel, go for the oatmeal and strawberries. Instead of the coffee in the morning, hit the treadmill for 20 minutes. 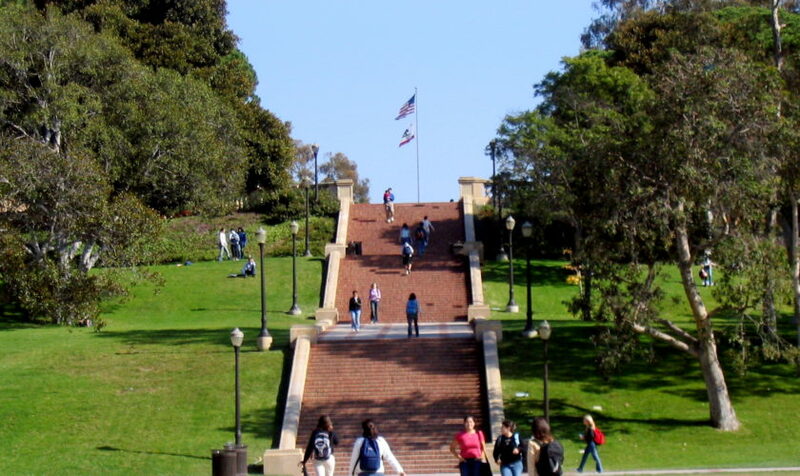 If the treadmill isn’t an option, take the stairs to class instead of the elevator. Little gestures like this do miracles for energy levels, mood, and physical comfort.